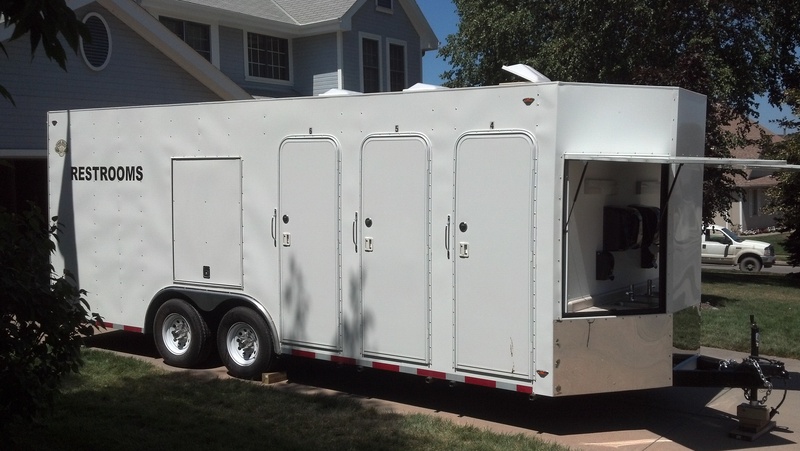 Pete, Dad, Mick, and Dave Kennedy built this 20-foot Portable Restroom Trailer in the spring of 2012, and boy, it's nice to have a porcelain alternative to the standard kybo. 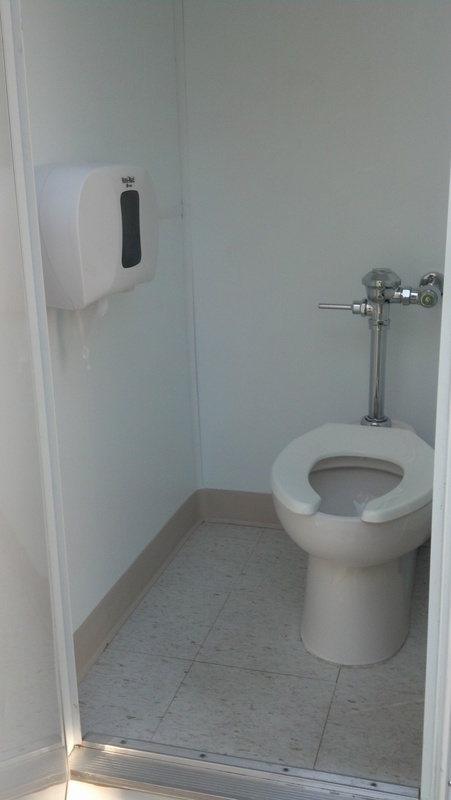 Our trailer is equipped with six toilet stalls and a walk-through urinal area, all with flushing fixtures. 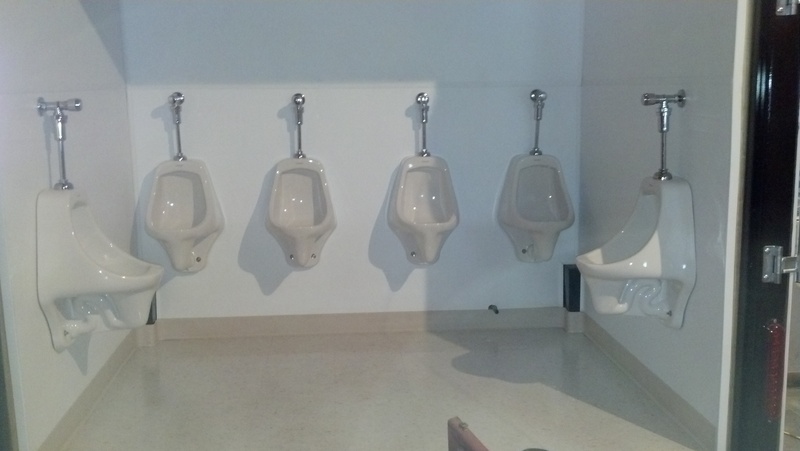 There are power roof vents, light fixtures, hand-sanitizing dispensers inside, and two sinks with soap dispencers outside. 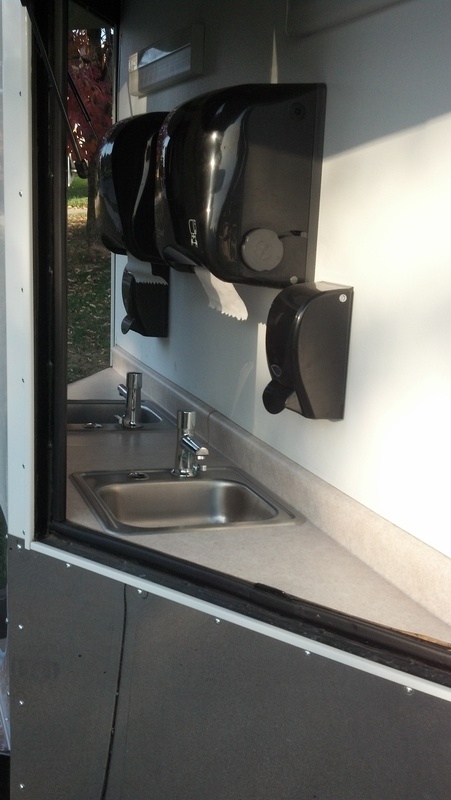 Mirrors and paper towels are in the sink area at the front of the trailer. In Pork Camp, the restroom trailer will typically be located near the shower trailers of Pork Belly Ventures LLC.